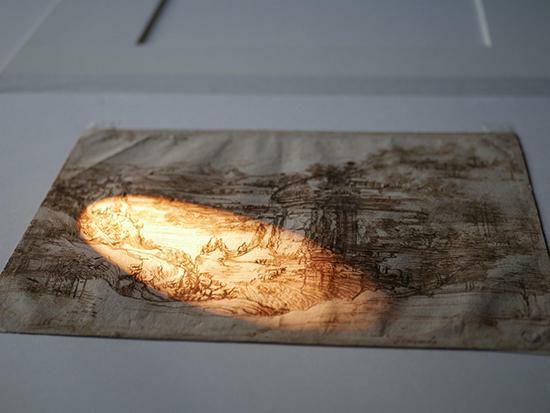 An in-depth study of Leonardo da Vinci‘s earliest-known drawing has proved that the great Renaissance artist was ambidextrous, Italy‘s Uffizi Gallery said on April 8. The findings were announced a month ahead of the 500th anniversary of the death of Leonardo, with museums around Europe organizing exhibitions and events to celebrate the life of the man responsible for such masterpieces as Mona Lisa. “The elements that emerged during this research open up new perspectives on the interpretation of Leonardo‘s Landscape 8P and on how the artist (built) the landscape, on his technique and even on his habits and abilities in writing,” Schmidt said.